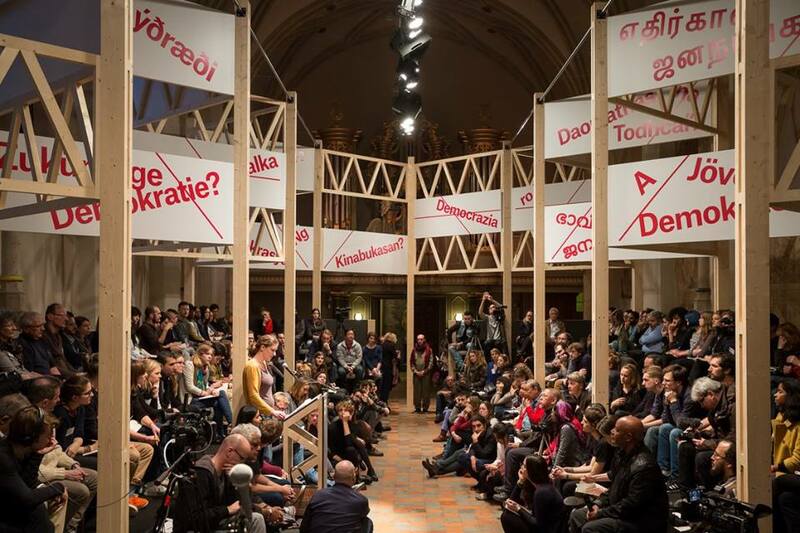 From 29 to 31 January 2016, the city of Utrecht hosted the last edition of the New World Summit, an artistic and political forum dedicated to providing alternative parliaments to organisations that currently find themselves unrepresented, unacknowledged or excluded from democratic processes. The New World Summit, an innovative project in which the Unrepresented Nations and Peoples Organization (UNPO) has had the pleasure of being involved since 2014, focused its sixth edition, entitled “Stateless Democracy”, on exploring this concept’s potential as a transnational paradigm that opposes state oppression in all its forms. 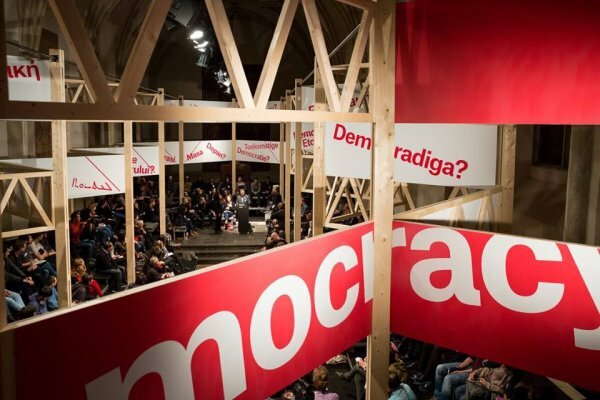 The three-day assembly brought together stateless and autonomist movements from all over the world to discuss the current crisis of democracy and to rethink a “new emancipatory politics of the XXI century”. A few UNPO Members, as well as a representative of the Secretariat took part in the event as panellists, offering the organisation’s perspective on the struggle of unrepresented nations and peoples. The first day, “Failed Democracy”, explored the current crises of democracy in the context of state security, especially in light of the last fifteen years of so-called War on Terror and the expansion of surveillance. Panellists such as Ms Nancy Hollander (legal representative of Chelsea Manning and Mohamedou Ould Slahi) and Ms Birgitta Jónsdóttir (Pirate Party Iceland) shared their experiences focusing on cases in which those who claim democratic rights are isolated or killed in the name of that very same democracy. The second day, “Stateless Democracy”, looked at the model currently being implemented by the autonomist Kurdish movement in Rojava, Northern Syria. Based on self-governance, gender equality and communal economy, the so-called “democratic confederalism” was discussed in depth by some of the most authoritative voices of the political experiment, such as Mr Salih Muslim Muhammad, co-chairman of the Democratic Union Party (PYD), the leading power behind the de facto autonomous region. Panellist during the last session of the day, “Stateless Democracy as Transnational Revolution”, Mr Karim Abdian, Executive Director of Ahwaz Human Rights Organization (AHRO) and Senior Advisor to the Democratic Solidarity Party of Al-Ahwaz (DSPA), a UNPO member, spoke about the plight of the Arab minority in Iran, sharing what he considers to be the solution to overcome the obstacles that States impose against their own people. In order to avoid confrontation with central regimes and have its cause discredited by the international community, according to Mr Abdian, the path to self-determination should rely on the pursuit of a strong confederation such as in Switzerland. Divided in cantons and underpinned by a strong constitution, a high degree of autonomy is granted to the people of each sub-entity, whereas existing international borders are not questioned. During the third and last day of the summit, “Future Democracy?”, the assembly debated whether the concept of democracy is still relevant when developing new models of political autonomy. Questioning if democracy has lost its credibility due to its violent imposition, panellists discussed with the audience what other political alternatives are imaginable and desirable. Participating in the session on “Future Organization”, Mr Fernando Burgés, UNPO Program Coordinator, spoke on behalf of the organisation. After providing the audience with an overview of UNPO’s history, its aims and its mechanisms, Mr Burgés brought the experience of the organisation into the context of the NWS, where it can be seen as a unique global structure of solidarity among unrepresented nations and peoples. During a very interactive session of questions and answers, UNPO took the opportunity to further clarify how its members seek to protect and promote their human and cultural rights, preserve their environments and find solutions to conflicts which affect them, based exclusively on non-violent means. Furthermore, Mr Burgés reinforced the importance of resorting to the existing human rights mechanism at disposal of the international community, such as the various UN human rights bodies. The last bloc of the summit, “Future Projection”, included UNPO member Mr Simon P. Sapioper, representative of the Republic of West Papua. In conversation with Mr Chris Keulemans, Ms Sapioper briefly went through the history of his nation and the serious human rights abuses committed by the occupying power, Indonesia. Facing destruction of natural resources, forced transmigration programs and systematic violence inflicted by the Indonesian army, West Papuans have recently drafted a common constitution, despite the variety of languages and backgrounds within the community. Mr Sapioper also highlighted the crucial role that UNPO is playing in raising awareness internationally of the dire situation of the West Papuans. 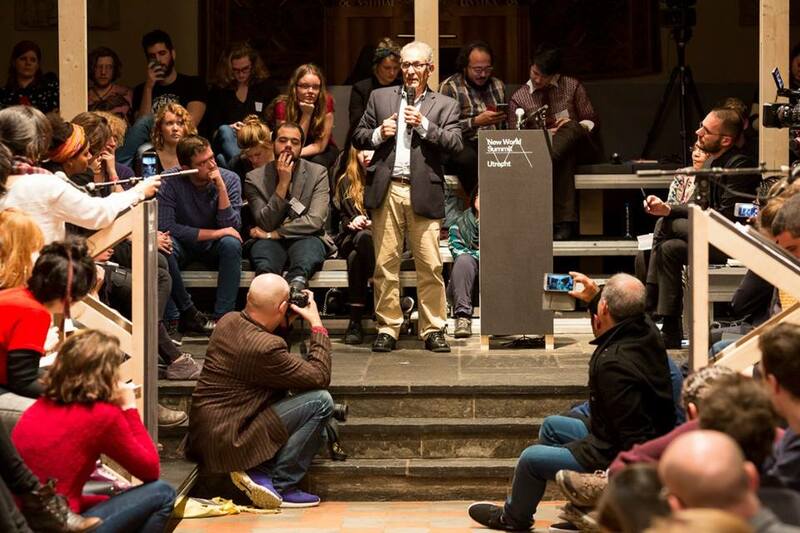 Throughout the three-day temporary parliament built in the Aula of the Utrecht University by the New World Summit, multiple points of views were exchanged based on personal experiences and beliefs, amounting to a great variety of perspectives. Nevertheless, a common ground permeated the entire assembly: the need to rethink the real meaning of democracy, especially in view of how the rise of far-right movements, the strengthening of State surveillance apparatus, the narrative of the War on Terror and the emergence of Daesh are putting marginalised nations and peoples under increasing threat. UNPO remains keen on collaborating with initiatives such as the New World Summit, where alternatives forms of non-violent resistance against policies of exclusion and assimilation can take shape and be implemented in practice.